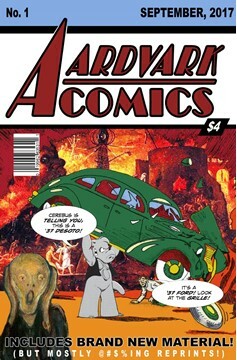 Comparing 'Origin of Origin' stories; real-world historical figure in Action #1 (plus 'stripped-cover returns'); 'Whatever Happened to Tex Thompson, Pep Morgan, Chuck Dawson and Scoop Scanlon?' plus the earliest Super-Cerebus online strips from July 2016, Lucifer repents?!? Goldman Sachs, get it? 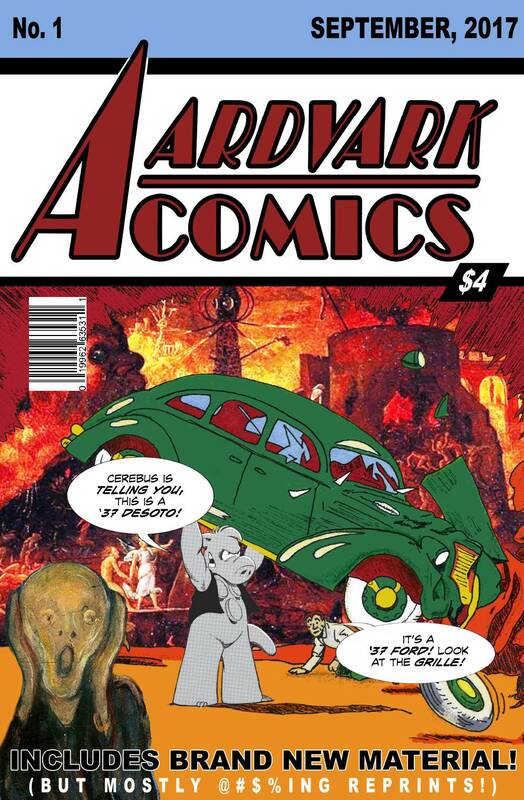 Super-Cerebus versus Batvark the Movie; British Petroleum executives; dirty sea shanties; Atari 2600 ET; Superhero Derangement Syndrome; Composite Batvark and more!.